Mark records snapshots of Jesus’ life and words and the response of those who came into contact with Him.In the middle of chapter 2 people come to Jesus with a question about those that were following him. 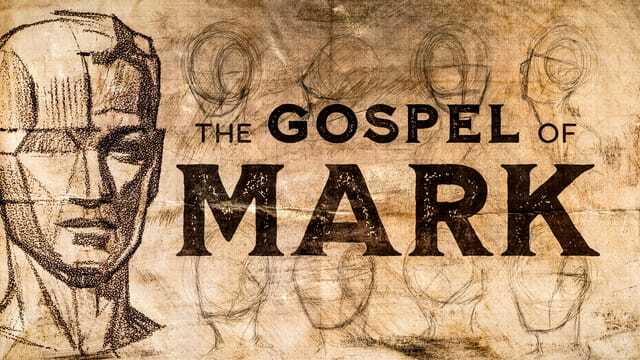 The question is a reasonable one… people saw John’s disciples fast after the pattern of the Pharisees, so it would make sense that Jesus’ disciples should fast too. Jesus wasn’t offended by their question but his answer was so much more than they expected. He answered using three analogies— a wedding, an old garment with a new patch, and old wineskins with new wine. Fasting is a wonderful spiritual discipline. Jesus fasted and prayed often—but it wasn’t a ritual designed for others to see. Fasting: Fasting was an expression of humility before God. The Hebrew word for fast is tsowm, which means: "to cover over (the mouth), i.e. “to fast." The Greek word for "fasting" is nesteuo, which means: "to abstain from food." The Old Testament commanded Jews to fast only one day a year—Yom Kippur—the Day of Atonement. (Leviticus 16:29, 31). This fast was a time of remembering one's sins and the sins of Israel, and looking to God for forgiveness. The Pharisees had taken a wonderful act of spiritual discipline and had changed it into a badge of super-self-righteousness. Jesus said that while the Bride and Groom are together, that’s not the time to fast, it’s time to feast. There was no reason for Jesus’ followers to mourn and fast while he was with them. They needed to enjoy His presence among them. Lesson: The way to God isn’t through the disciplined practice of religious duties rather through a right relationship with Jesus! The crucifixion of Jesus will be the appropriate time for mourning. The new and the old cannot go together. The Old Covenant is not compatible with the new and better covenant brought about by Jesus Christ. What’s the difference between the Old and the New? The Old Testament (Covenant) points to a Messiah (Isaiah 53), and the New Testament reveals the Messiah (John 4:25–26). The Old Testament (Covenant) records the giving of God’s Law, and the New Testament shows how Jesus the Messiah fulfilled that Law (Matthew 5:17; Hebrews 10:9). The Old Testament (Covenant) saw paradise was lost by Adam in the Garden in Eden through sin; the New Testament shows how paradise is regained through the second Adam (Christ) as our Savior. The Old Testament 9 (Covenant) reveals that man was separated from God through sin (Genesis 3), and the New Testament declares that man can be restored in his relationship to God (Romans 3—6). 1. The New Covenant in Christ is internal not external. This life is fueled and led by the Holy Spirit of God. 2. The New Covenant in Christ is the forgiveness of sins. 3. The New Covenant in Christ gives us life that is eternal, totally secured by the love of God. Lesson: Jesus did not come to patch up our old life; He came to give us a new life!